A ground-breaking immersive experience is about to take over Durham’s Hamsterley Forest from Friday 13th until Sunday 15th May, enabling thrill seekers, foragers and film fans to delve into the natural world as they’ve never been able to before, merging nature and technology in a fascinating project. Abandon Normal Devices create projects which challenge the definitions of art and the moving image, they’ve commissioned innovative immersive experience studio Marshmallow Laser Feast to explore the line between virtual and real-world experiences; through sculptural virtual reality headsets, which will be suspended from overhanging woodland, a unique perspective on the surrounding forest will become available for the first time. Using images captured by high definition drones and bespoke 360º cameras, explorers can fly through the forest canopy, come face to face with woodland creatures and even embody various animals as they traverse the computer-generated landscape. In what will be a fully immersive experience, binaural sound design will increase the sensory experience, with the animals’ environment able to be heard through headphones and even felt through a wearable Sub Pac device which turns audio vibrations into a tactile experience. Varyingly described as ‘trippy’ and ‘better than Minecraft’, In The Eyes Of The Animal comes highly recommended, going down a storm at this year’s Sundance Film Festival. Free places are limited throughout the weekend, so book early. 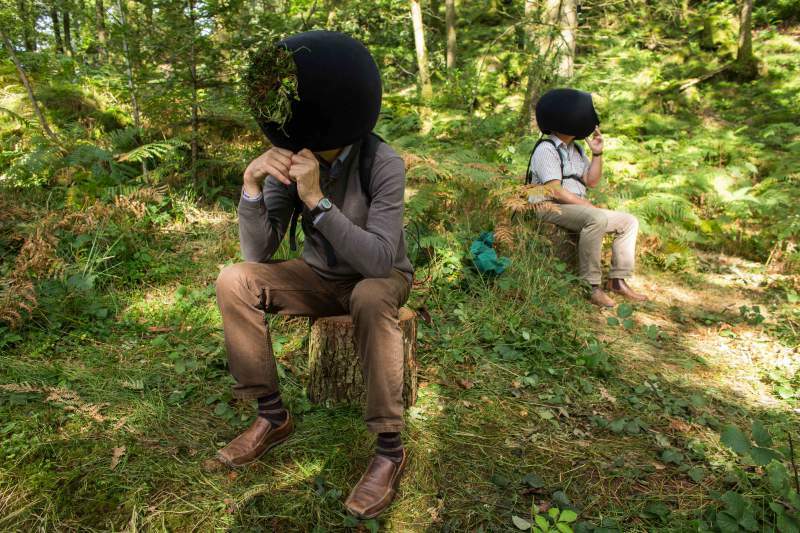 In The Eyes Of The Animal is at Hamsterley Forest, County Durham from Friday 13th until Sunday 15th May.